Congratulations! 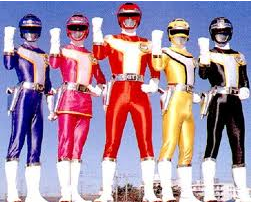 Now if we meet up at a race we can hold up our wrist bands together like Power Rangers! 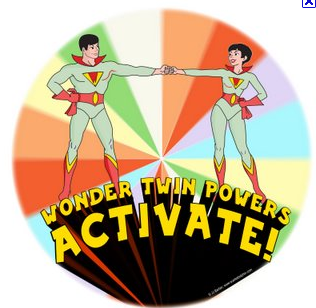 Or even better, like the Wonder Twins! 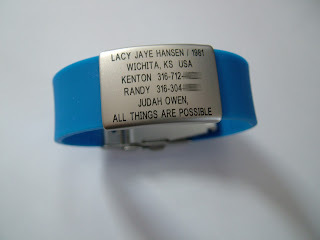 Danny, email me at lacyjhansen at gmail dot com and I’ll get you hooked up with my pals at Road ID. Thanks to everyone for entering and stay tuned. I’ve got another awesome product to tell you about later this week. Oh, and I’m giving you a chance to win too! I finally got my Road ID in the mail this weekend! Since day one, my Dad told me to get an ID, to have on me or my shoes, while I was out running. I listened and got a small dog tag with one phone number listed for my cheap shoes. However, I was rarely ever a mile from home at this point. And furthermore, I got real shoes and a new number a few weeks later and never got another ID. But, flash forward 4 years and I have now followed my Dad’s advice and I’ve got my ID. was super simple and quick. The site also includes testimony after testimony of how an ID quite literally saved someone’s life. I’ve been very pleased with my choice. My ID is light weight and I cut it down to size. So it fits me just right. I actually forget it’s there, that’s what I was hoping for. I can easily clean it when it gets too sweaty as well. I don’t have any major medical condtions or allegies so I had a little more room for an inspirational phrase. I chose to put a note to my son. I had limited characters so I struggled to get it just right. That little boy is my muse. He’s been there since my first mile, watching me push myself pass my previous abilities. My heart’s desire is that this will help him grow to know that he shouldn’t limit himself, he should dream big, and mostly never give up. When I’m struggling to get up a hill, when I’m out of breath, or when I’m just completely spent, he’s the thought that enters my mind. And then somehow the strength to push through shows up. I think I got my money’s worth on the last two lines of the ID. 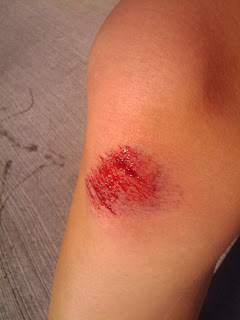 The worst thing that’s happened to me this season was when I fell and scraped up my knee. I was all alone and more embarrassed than hurt. 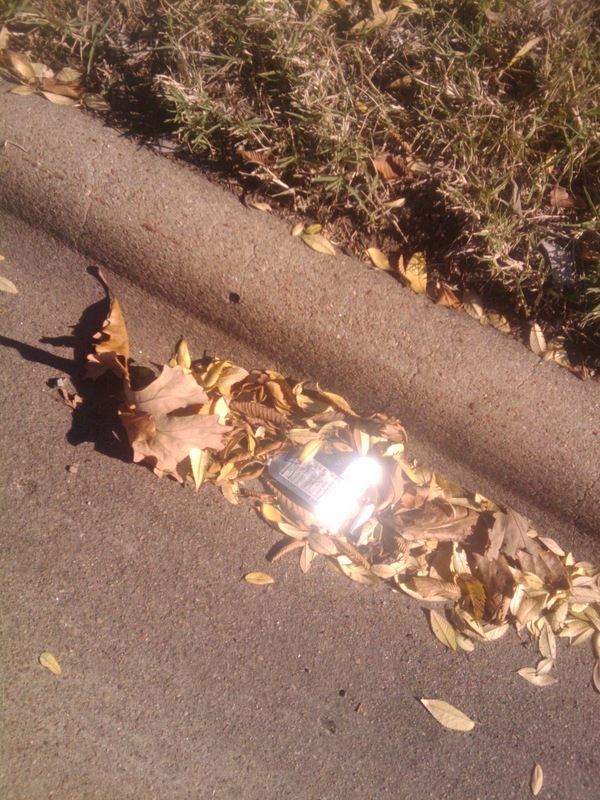 I snapped a pic and sent it to my husband (ahhh….living in a world with smart phones…), told him where I was and ran home. Now if it had been my head instead, who knows what might have happened. I also have run in other cities this season. Whether in a race or just in a neighborhood, there wasn’t anyone near who could have spoken for me. The winter finally showed up here in Wichita this week. Not all of us are as crazy as my friend Zach, but many of us are still getting out there. It’s cold and slick, prime conditions for a fall or injury. Do you have your Road ID? If the answer is no, my friends at Road ID want to help you out. They are going to give one of you an eCard to road ID. With the card you can order any ID of your choice. Each one of those tasks will get you a separate entry into a random drawing for the eCard. I will hold the drawing in one week. Good luck everyone, and be safe out there! I rang in the new year with a bang. 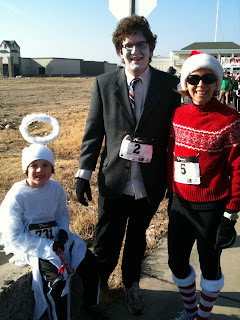 I was just so blessed to pull off my first Frosty 5K New Years Day WIN!! Even better….. I PR’d too! It was below feezing, not too windy, and full of sunshine. I guess it was just my day. I pulled in front before mile one and ran as hard as I could to keep #2 behind me. When I knew I had sealed the win I was overjoyed. When I turned the corner to see the clock and knew I PRed, I was in shock. My previous PR was set in June 2009. I ran a 19:56 that summer. I clocked a 19:42 on Saturday. 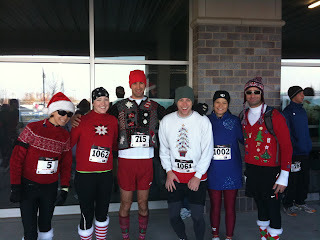 Sub zero temps are rarely PR days and it hurt all day in my chest, but it was worth it. I got a gold medal and a $100 gift certificate to First Gear. I had tucked this race back in my mind during the week. I knew that there was gift money to be won. I held off on any after Christmas shopping in the tiny belief that I stood a chance at winning. My Dad and I joked later that night that I pulled a “Babe Ruth” and called my shot. I was just lucky and I know it. I prayed the night before and that morning for God’s favor. 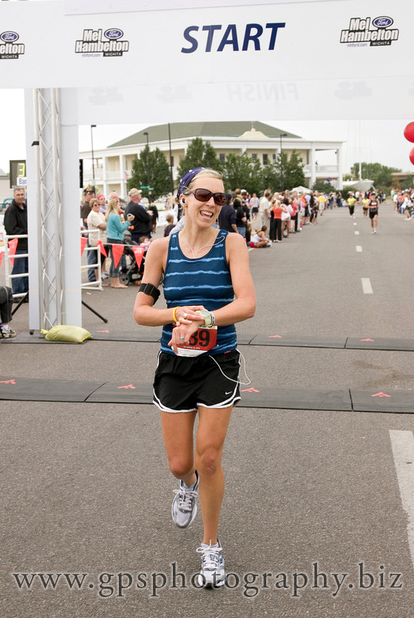 As I travel down this road as a runner I’ve been really trying to find the pure joy in the run. That’s something I’ve lost many times during my journey. I long for the days that I can’t wait to get out there. The mornings when I’m still nervous before a long run. The runs I go further because I want to. Mostly I’m seeking to sense my God’s goodness when I run. The 5K hurt, but I felt his pleasure and that’s the real prize. I didn’t see Chariot’s Of Fire until just a few years ago. Since then I hear the quote of Eric Liddell running through my head every time I run. How I desire to have this be my anthem every time I lace up my shoes. It was a great post-race too. I met some new people, caught up with some others, and caught glimpses of some I wished I’d talked to. I did get to talk to John (2Slow4Boston) and get reminded to stop slacking on my blog, I mean I was inspired to write…. right John? Tis’ the season to be busy, right? Even though I haven’t written about it much, I have been running and riding lots. I’ve gotten the chance to really break things up too and get some interesting workouts in. 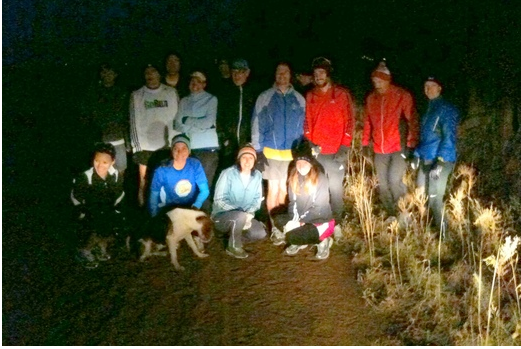 A few Saturday’s ago I joined a group of runners who call themselves the “West Side Wackos.” They’re a lively bunch of runners who live on the west side of town. Thanks to Daily Mile I’ve been made an honorary WSW even though I live out East. They welcome any and all regardless of their geographic location. I joined them at 6AM on a Saturday morning to follow a caravan of 10+ cars out to the desolate highway 17 in Kingman county. The cold dark morning with the WSW! I was told this course was awesome, hilly, and beautiful. I had no idea what I was getting into!!! New scenery for sure! Can’t see any hills in these pic though. 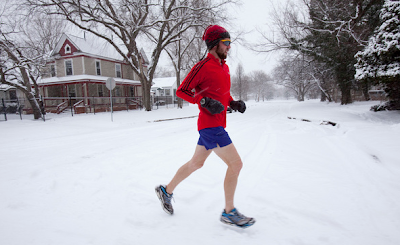 I ran 8 miles into the town of Kingman on a very cold winter morning. Cresting at least 15 hills all the way. My heart rate was flying! There was a grocery store at mile 8. I caught my breath, grabbed a drink, and headed back for another 8 miles of pain! It was good pain though!! I was so tired the next two days. But I know I’ve found my Heartbreak Hill training course now!! Another different type of run took place this week. On Monday night I kept hearing more and more about the lunar eclipse that was to take place in the early morning hours Tuesday. I continued to hear how the fact that it was landing on the Winter solstice was a once in a life time event. It had been some like 400 years since it last happened? On a whim I posted a note on Daily Mile and Facebook just to see if any weirdos might want to run in the middle of the night to observe the eclipse. Sure enough, I’m not the only crazy one out there. Long story short I meet a group of 5 other runners for a run at 1AM until about 3AM. We ran through the streets of Wichita and watched the moon disappear and watched it turn red. It was very very cool! I got home about 3, showered, and went right back to bed. I was super tired the next day, a little sore, but stoked to wake up with my workout already done! I’m so glad I got to do this. Another new scene for my workouts has been….. my bedroom. Yep, that’s right. I wanted to keep up with my cycling as the weather got cold this year. Kenton was kind enough to invest in a trainer for our road bikes. It’s taken a bit to get used to it, but my room is where you’ll find me spinning away about every other day. I rotate the TV, find a good show and try to knock out a nice long ride. 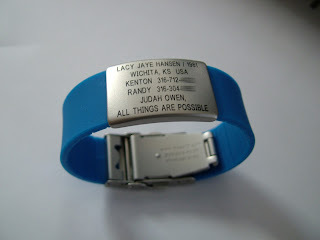 Kenton’s been using it too. Our only little hiccup is that we both have to share a nut for our bikes. The nut on my bike won’t fit on the trainer. So every morning I’d unscrew Kenton’s to put on mine. It was really a pain and I guess he heard my complaints. On Christmas morning, I unwrapped a tiny little jewelery box to find my very own nut. I enjoyed my post Christmas spin while watching Christmas Vacation with my very own nut this morning! Best thing about gift giving is to give them something they’ll use. Well, if that’s true…. Kenton nailed it this year! Not really my best look…yikes! 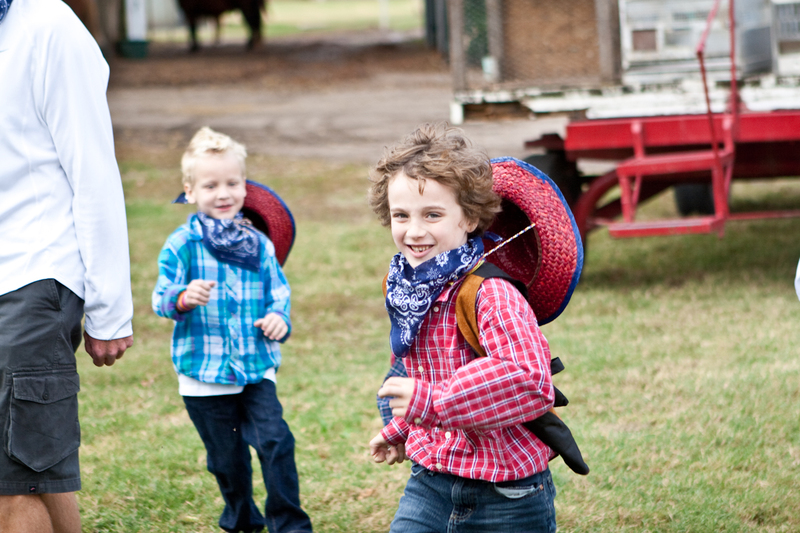 Happy trails where ever they might be! It’s better late than never on these post, right? The annual Jingle Bell 4 miler was a fun event as always. Here’s the low down on the morning. It was about 30 degrees with a 20mph+ north wind. Needless to say, it was not ideal running conditions. I ran 8 miles with my gang prior to the race and quickly showered and changed to make it down to the Waterwalk with about 10 minutes to spare. I was a member of a group costume: “The Ugly Sweater Party.” I planned to try and run and defend my title as 1st place from last year, so I dressed the part, but missed the fun. 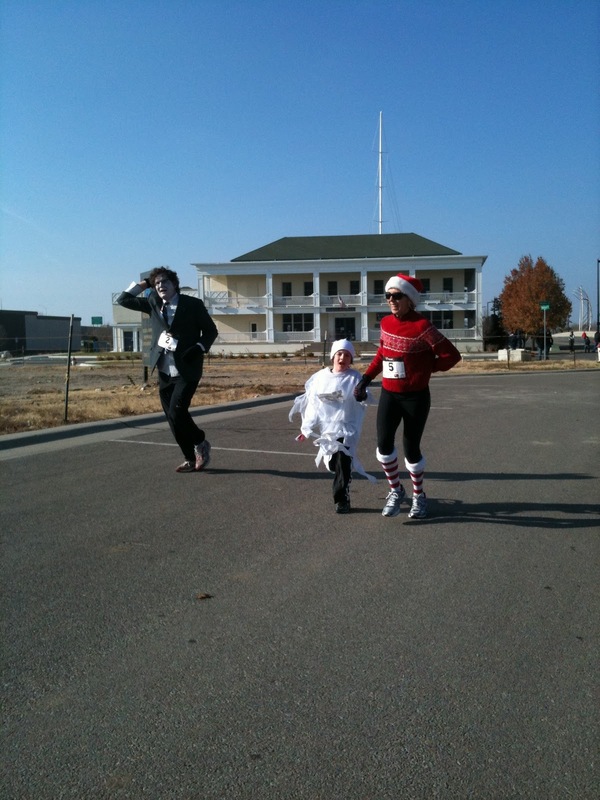 These guys ran along passing out hot cider and candy canes along the way. The gun sounded and I ran with all I had. We were quickly turned into the wind and I struggled as did everyone else. The wind was cold and strong. I quickly pulled into the front. I could tell I was in about third place. I pulled up to second and then this rouge runner came blasting by me. She had on baggy sweats and an over sized hoodie. I had no idea who she was or where she came from. 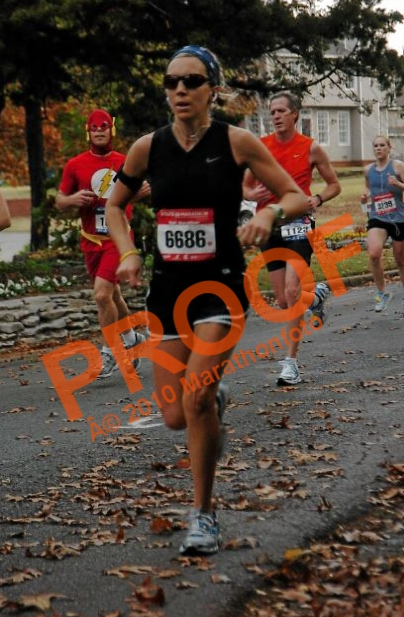 I chased her the whole race and never caught her. Later I discovered she wasn’t in the race. She was apparently either a bandit who jumped in at some point or was just out on her run. Either way, she psyched me out the last three miles. I ended up finishing 2nd overall in a time of 26:53 or something like that. The highlight of the day was Kenton and Judah. Last year Kenton won the costume contest in his magnificent “Holiday Fireplace” costume. This years costume was more a performance piece that didn’t go over as well. His great idea was to be George Bailey from “It’s a Wonderful Life.” He planned to reenact the famous scene of George running through the streets of Bedford Falls screaming “Merry Christmas…” Kenton’s mistake was taking the costume too far. He thought to paint his face “black and white” as the character is only seen in black in white. It didn’t translate. While Judah was dressed as “Clarence” or an Angel *with Wings* (post bell ringing), the one mile gun went off and Kenton screamed and waved for the whole chilly mile. That was hilarious! Oh well, they took their Applebee’s gift card anyways! The morning was concluded with lots of medals and prizes. I received a LED head lamp and a medal for my 2nd place finish. The best part of this event was all the door prizes though. Before it was over I had received enough gift certificates from Road ID to get an ID of my choice, Panera Bread gift cards, Applebee’s money, and Freddy’s Frozen Custard money! We made it home with two, yes TWO cases of Diet Pepsi!!! Oh, Merry Christmas you Old Building and Loan, Merry Christmas Mr. Potter, and Merry Christmas to you too! As I’ve read through the blog world this week, I noticed many other 2 week old race reports. I figured that was as good of a sign as any to post about my fun run over two weeks ago. 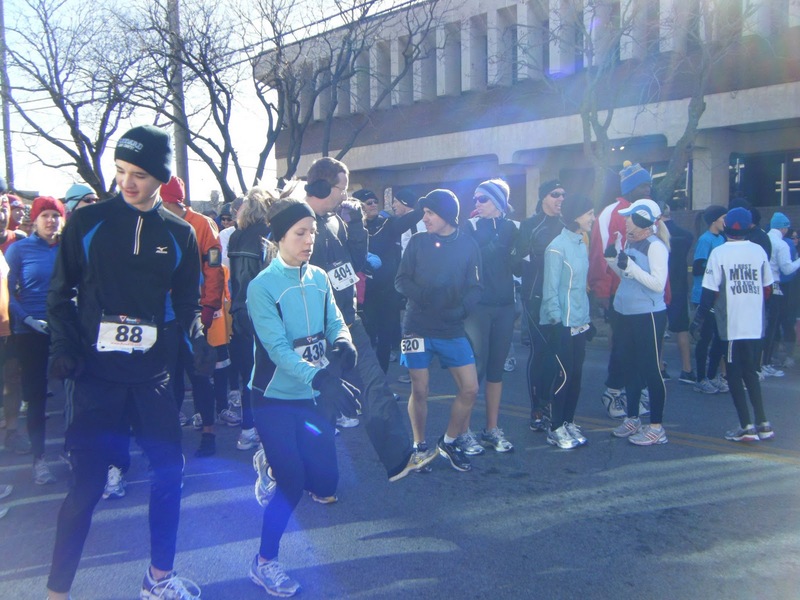 Saturday, November 20th was Wichita’s annual 10 Mile Turkey Trot. 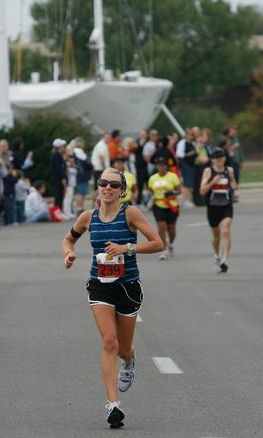 Just 4 tiny years ago this was my very first 10 mile run. It was so, so hard. I hurt like crazy after it was over. I felt invincible. I hoped as I walked around that day that all the strangers could sense I had just done something amazing. Now I laugh because I rarely set foot out the door for a run any shorter than 10. It’s a great feeling to look back and see that I’ve come so far. 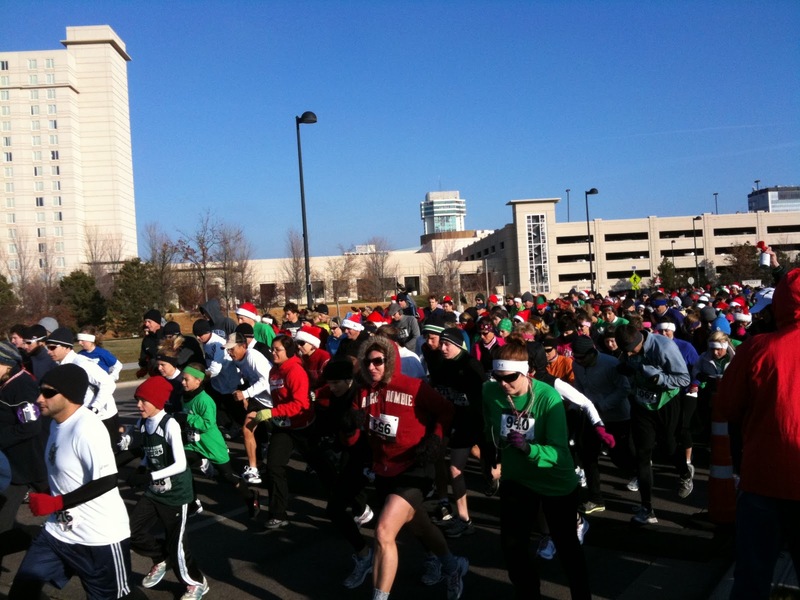 Every November I look forward to the Turkey Trot. It’s an anniversary for me of sorts. However, my only nephew trumps any race. His birthday always comes close to the race. Some years I’ve crossed the line, hit the shower, and jumped in the car headed for Oklahoma, just to roll in for his party. This year no amount of Kenton’s super driving could land us in Tulsa on time. So, plan B was initiated. Still not knowing for sure what Plan B included, I woke on Saturday the 20th, ran with a small group of friends who weren’t racing, jumped in the car and headed to Tulsa. Officially decided to sign up for the 1/2 portion of Tulsa’s Route 66 Marathon the next morning somewhere between singing Happy Birthday and the slicing of the cake. Kenton and I ran down to the expo and took care of business. I headed back to a chaotic cousin/post party/toy overloaded home and remembered that this race should be fun, trying not to sweat the horrible pre-race rest atmosphere. After a dinner a Pei Wei and a terrible time getting two little boys to be quiet and go to sleep. The early morning alarm went off way too soon. I checked the forecast, was in disbelief of the warm November morning, and got dressed. I was going to wear the same outfit that I wore in a half in June. I wasn’t complaining, just couldn’t believe it. Kenton rolled off the hide-a-bed and ever so graciously drove me down to the start. I was in a port-a-potty line when the 5 minute warning was given. Thankfully some 5Ker’s let me jump ahead, as they had 1/2 an hour until their start. I weaseled down to the crowded start with my eyes peeled for “Corral A.” I could only assume that was the first corral and jumped through the fence, woke up my Garmin, and “BOOM!” The gun went off, the confetti was flying and I was moving. I assumed I was in the right spot, but wasn’t *really* sure until mile 3. That was a long time of hoping I didn’t just waste a lot of money. I feared maybe I had gotten in the full marathon only start or something. But all was well and I began my nice long run for the morning. The crowd was so thick for the for the first 2-3 miles. I could get a good pace going for a bit. 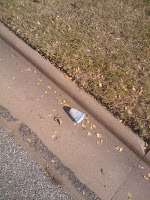 But, eventually it spread out and I just took in the race. It was windy and cloudy but the streets were lined with fans and there were live bands playing about every mile or two. That was great. I thoroughly enjoyed my run. I didn’t plan for anything but a strong run and hopefully an enjoyable one. I didn’t pay attention to my Garmin until about mile 9. Sure, in the back of my head a PR was bouncing around, but I had just run 12 the day before and had not tapered all week long. However, I thought about what time I could make up if I picked up the pace. So, while mile 9-10 isn’t the place to start a race strategy, I went ahead and tried some quick math to see what I could do. Since I stink at math, I just sped up and pushed for the last 4 miles. Knowing my sister had the boys and Kenton was possibly asleep in the car, I phoned him and said exactly this, “I’m at about mile 10.” He heard, “I have about a mile 10 (1.10).” I love that he even thought that was humanly possible. Notice “The Flash” in the back? He phoned my sister urged her to rush like mad to the finish because he thought I was going to win. Meanwhile the final miles of the course were one straight down and then back. So, I began to see the leaders. I counted as 1, 2, 3, 4, 5, 6, and even 7 maybe more females ran past me. I still had some gas left so I pushed it. This was the windiest part of the course. A very strong headwind made the finish pretty rough. 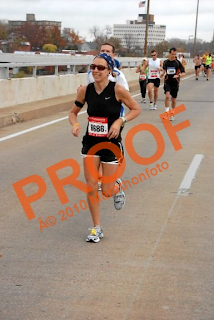 I passed at least one female in that last stretch. 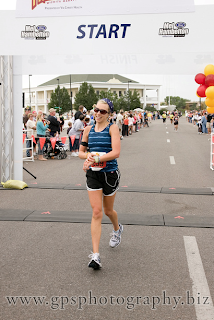 I rounded the corner and heard the 6th female finish as the announcer was shouting out for the top ten finishers. 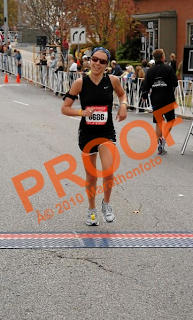 Motley Crue’s “Girls, Girls, Girls,” was blaring as I ran to the finish. My sister, nephew, and son on one side, and Kenton on the other. I finished with the original goals intact. I ran strong and had a good time. Yes, I was bummed, I know I could have run harder, I just didn’t plan for my competitive monster to flare up at mile 10. 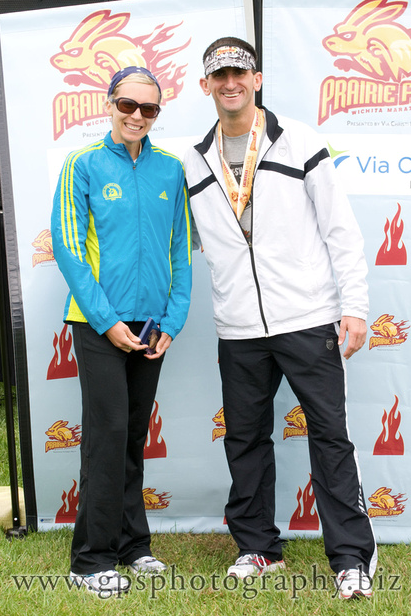 I ended up with a time of 1:34, 7th overall female, and first in my age group. For a whim, I should be pleased with that…and I’m getting there. They had the coolest medals, the wheel spins. To keep the peace in my family, I redeemed those tickets and secured my two free beers. And to offer a laugh to everyone who knows me, this was posted on Facebook. All in all, I’m so glad I ran this race. I’d like to do it again. I’d know there were some pretty intense hills and I’d plan for it better next time. It’s all relative. 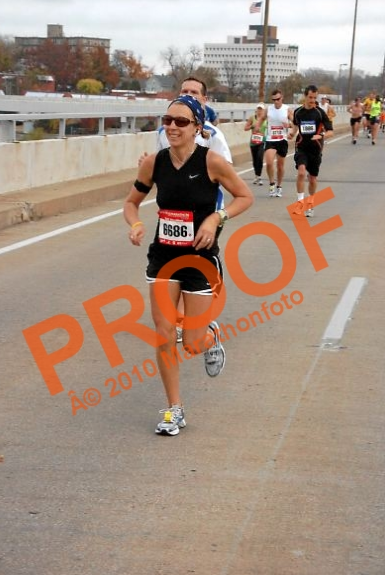 I am actually most proud that I’m healthy enough to run such a strong race on a whim. Who would have thought this was possible, just 4 tiny years ago? This was Judah’s memory verse this month in Sunday school. He got it memorized real fast and would speed through it every time we’d quiz him. Finally, we asked him to slow down and say it to where we could all understand it. It finally sunk in with me too. I have so many things to be thankful for. So many people that make my life rich and full. 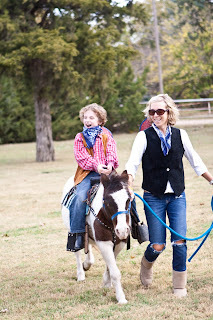 However, few really come close to the amazing thankfulness I have for my little boy. He had to have surgery this month. Nothing major but surgery none the less. 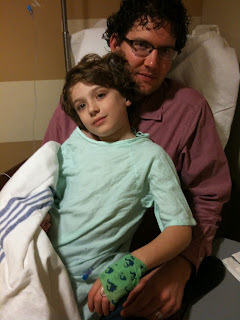 I played very brave for him all morning as we prepared to leave for the surgery center. 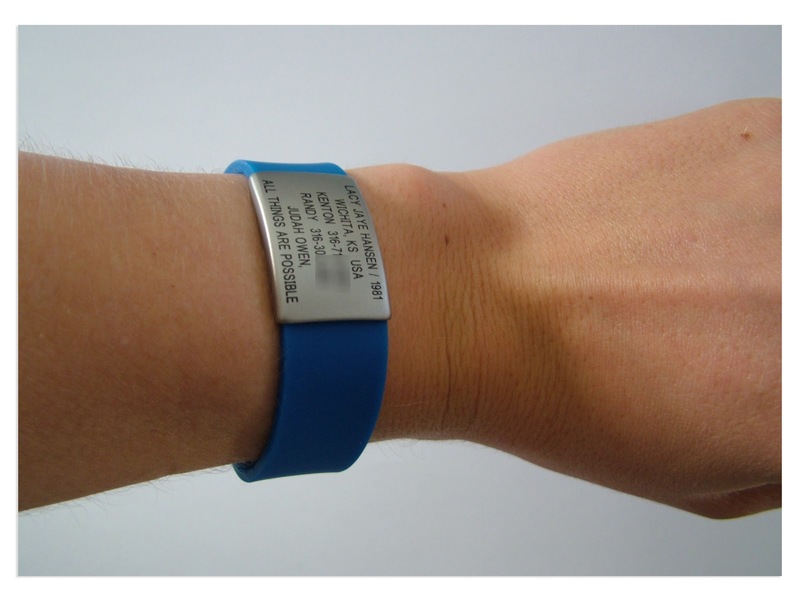 As I read over the doctor’s instructions I saw he couldn’t have any type of jewelery or bracelet on. I wanted to give him something special so I grabbed the Sharpie and finally got to give him a reminder on his arm. 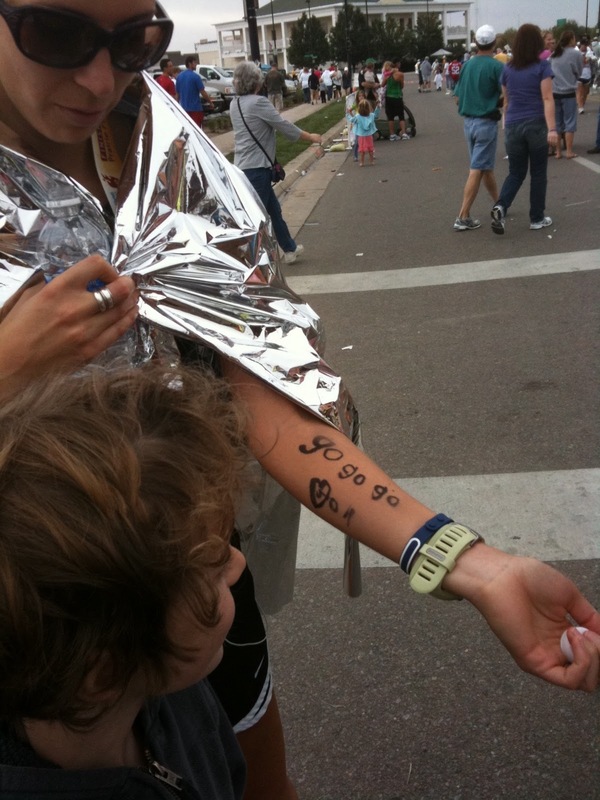 He wrote me an arm full in October for the marathon. 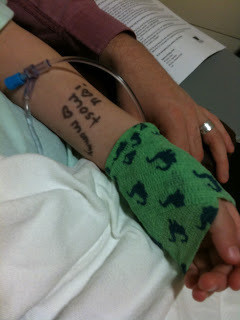 The nurses liked his note and our tradition. They said they’d never seen anyone do that before. As he walked bravely back into the care of mere strangers I sat in the waiting room and cried on Kenton’s shoulders. Not soon enough they called us back and we could finally see our little boy. He wanted to sit on Daddy’s lap (he later told me he didn’t want to hurt me, that’s why he asked for Daddy). He drank a juice box and finally we were able to go home for recovery. As we sat around as a family of three this past Thanksgiving weekend, eating turkey tacos, we all went around sharing what we were most thankful for. Did my sweet angel say his loving mother who would walk through fire for him? Heck no! No bother, I have to thank my God every time I remember him! It’s been a full few weeks. But as it’s slowing down a hair, it’s awesome to look back and see how all the busyness has been mostly fun. I’ve had some great opportunity to bond with my community this past month. 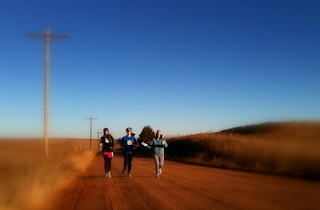 As a runner, a community is what really makes the sport worthwhile. When it’s cold and you know the group is waiting on you, you’ve got the motivation to get out the door. When you’re a little burnt out and you know others are expecting you, the conversation during the run normally makes all the other feelings fade. When the run is getting so hard you don’t know if you can continue, it’s the community that holds you up and carries you across the finish line. Not all of us, but some of the community post marathon/pre-spring roll dinner! I would have thrown in the towel long ago if I hadn’t found a group to bond with. This past month I’ve had a special chance to do even more of that than usual. One of my community members, Katie, trained all summer long with us. She dropped off Gatorade and water at our mile 6 every Saturday morning. 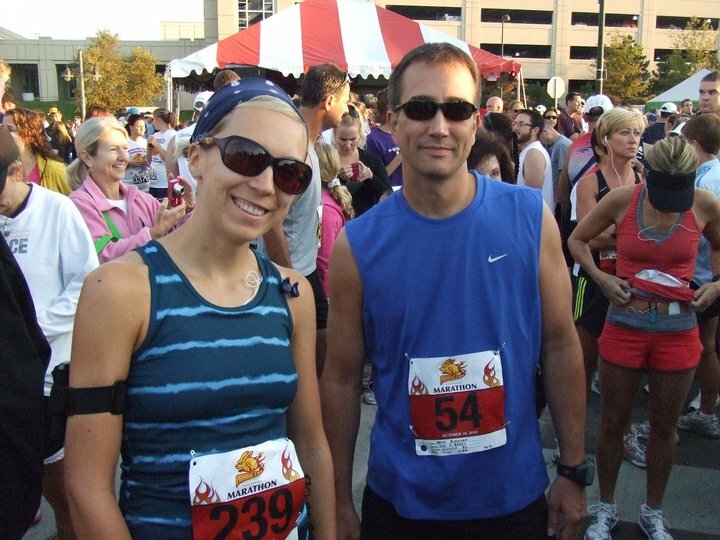 She decided to run the Chicago Marathon on 10-10-10 with her Dad instead of staying town to run The Prairie Fire. We all eagerly awaited her results as we knew she’d be amazing in Chi Town. As luck would have it, she got very sick in Chicago on Saturday and wasn’t able to run Sunday morning. She was crushed, understandably. 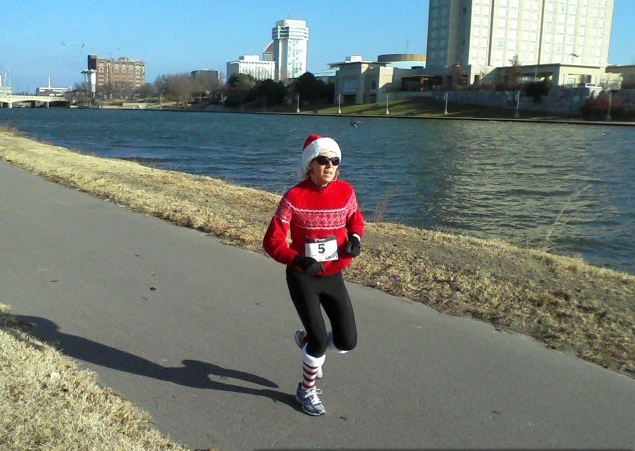 As an attempt to not waste all that training she signed up for the Kansas City Marathon the following Saturday. 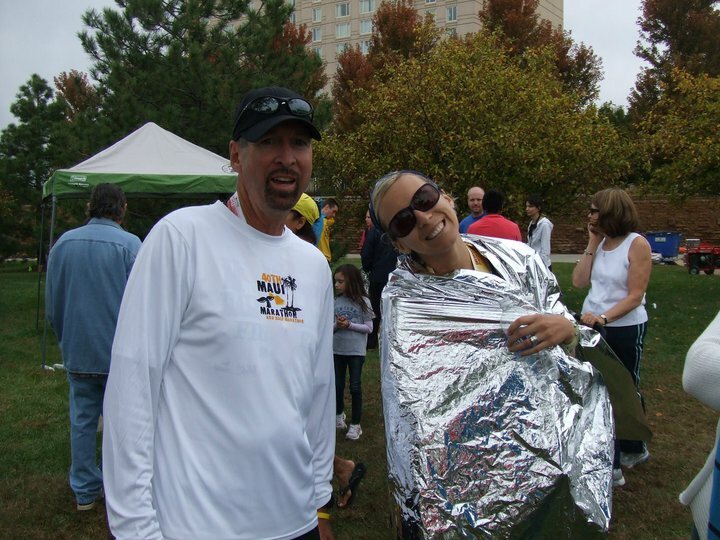 Her Dad was going to run the half, but that still left her all alone for over 18 miles of the race. My heart leaped at the opportunity to help my new friend. As all things just worked out, I found myself flying down the turnpike at 5AM that Saturday morning with Kenton and Judah. Kenton’s the best. He willing got us all out of bed and drove us up to KC in record time. I was at mile 13 with plenty of time to spare. 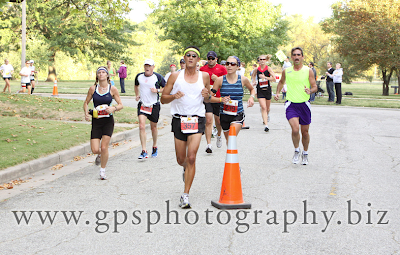 Many pace groups passed us as we took on all the unforgiving hills of KC. When I got in we were ahead of the 3:10 pace group. In the last two miles the 3:40 pace group passed us. Katie struggled like she never had before. We had to stop and stretch, stop and walk, and even just stop a few times. I felt so bad for her. I was digging deep trying to be helpful, I don’t know if I was. I tried to just talk and not ask questions. I also told her to tell me to shut up if I was getting on her nerves. By mile 24.5 Katie knew we were almost done and somehow she found her stride once more. She didn’t walk through aid stations, she didn’t slow her pace. She charged through to the finish like a champion. The first time I heard about Katie was when she jumped in the race in OKC to help one of my friends. She hadn’t planned on it, but when she noticed Stacey, my friend, struggling, she got in to carry her in from mile 20 to the finish. I got the chance to be friends with this girl. So when I had an opportunity to help her out, I jumped at it. Because I know that she would have done the same for me. 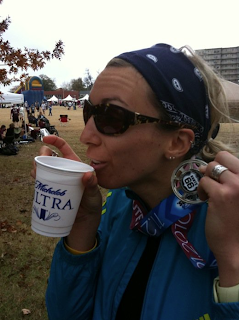 This week another friend admitted he had the post-marathon blues. I jumped at the chance to bust his and my impending rut by finding some fun races. As chance would have it, a Monster Bash 5K was taking place in a few days. We agreed that the best way to have fun with this one was to dress up per recommendation. It was last minute, but there were some easy Batman costumes to be found. Long story short, I had the most fun run as a super duo. I had already run 10 miles that morning and was just going to “have fun” with the 5K. But I also don’t know how to slow down once a gun goes off. Nick was feeling much fresher than I and had way too much fun flying with his cape and turning to the runners we’d pass saying, “I’m Batman.” His side kick Bat Girl wasn’t as talkative, but held on to finish side by side. 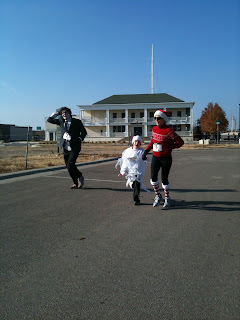 We totally whipped Pac Man and in the last half mile was got Fred Flintstone too! So it was all for fun and we had on capes that’s why we didn’t PR….yeah that’s it. However, we were the 5th and 6th finishers over all and I was the 2nd female. Our time was 20:33….not too bad really. It was the most fun I’ve had in 5k and Nick later said he was glad he got out there to run after almost a week without it. We’ve had so much non-running community this month too. It’s good to do life together with others. Family, friends, ponies, weenies, s’mores…Yee-Haw! As a shy homebody, it’s been invaluable to embrace a community. I wouldn’t make through without the support and love of my friends and family. While I may be on an upswing, I’ll have my down times and they’ll do their part to pull me through. Oh it goes without saying, these two are the best community ever. They’re always behind the camera, cheering, and following me along. 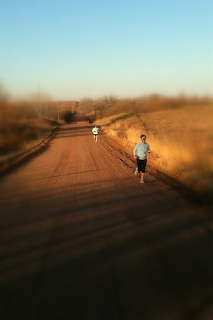 They were spotted by many at the Prairie Fire as they zoomed around to support me on their bike. I’m nothing without my boys. Oh and finally, speaking of community, HOW FUNNY WAS THE HALLOWEEN EPISODE OF NBC’S COMMUNITY??!! "Love That Dirty Water….Boston You’re My Home!" 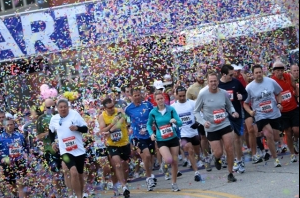 As all the marathon world knows, Boston’s registration filled up in record time this year. In less than 8 hours or something like that. I was on the fence and even leaning more towards the “not this year” side. The night before registration opened, a last minute decision to go for it was made. It took several attempts and eventually some help from the runners on Twitter, but I got in! I’m not 100% sure we’re going, but I know one little guy who was more excited about the possibility than anyone else! He’s so excited! I don’t know what power Boston has over us, but this big birthday boy fell in love just as hard as we did! He became a big Cheers fan after this stop! Judah’s first time in the ocean, it was chilly, but he loved it! This birthday boy brings me so much joy. I can’t believe I’ve had him in my life for 7 years now. He wants me to run the Boston Marathon every year just so he can go back to his adopted home. I haven’t gotten it back yet. Happy Birthday to my little man, I love you. 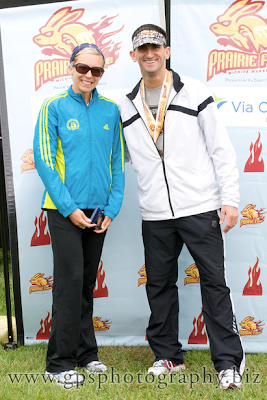 The Inaugural Prairie Fire Marathon has come and gone. 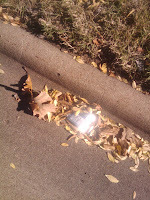 There are still some reminders around Wichita that something big happened out in the streets on 10-10-10. 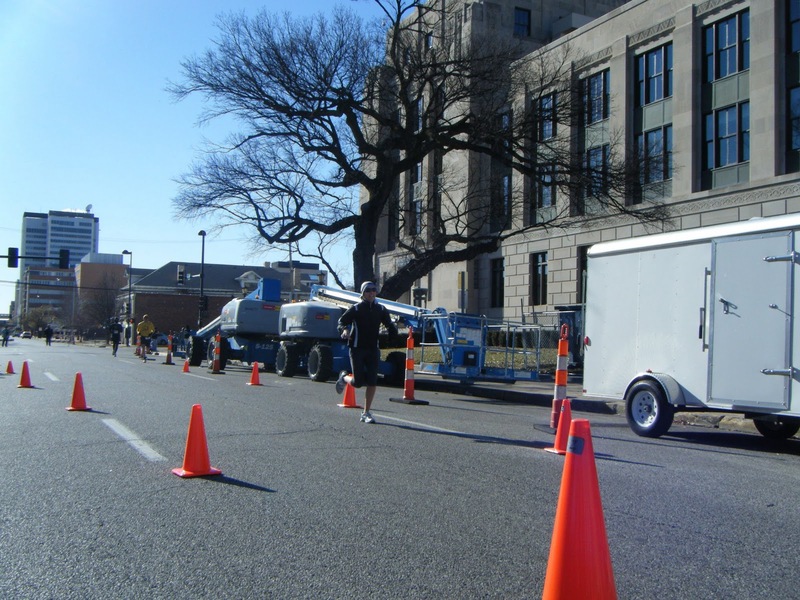 From worn street markings to a little debris, there is enough evidence that Wichita just pulled off it’s first urban marathon. I was lucky enough to be a part of it too. There were several races taking place on Sunday. I lined up for the 8 AM start of the Full Marathon. 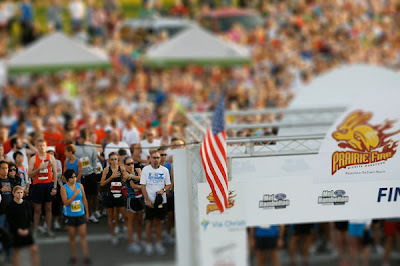 We shared the start with the half marathoners, too. It was a beautiful October morning. The temps were predicted to get unseasonably warm, but at the start it was around 60 degrees and sunny. 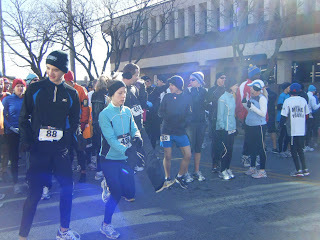 There was a great crowd of runners and spectators. 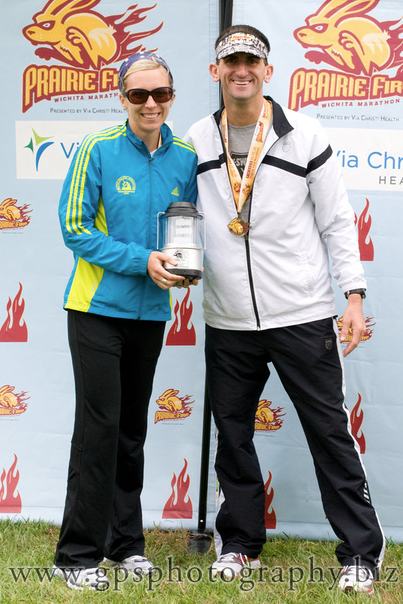 Unlike any year previous when the Heart of Wichita Marathon started in Derby. The race started right on time and the crowd was very thick for the first 1/4 mile or so. 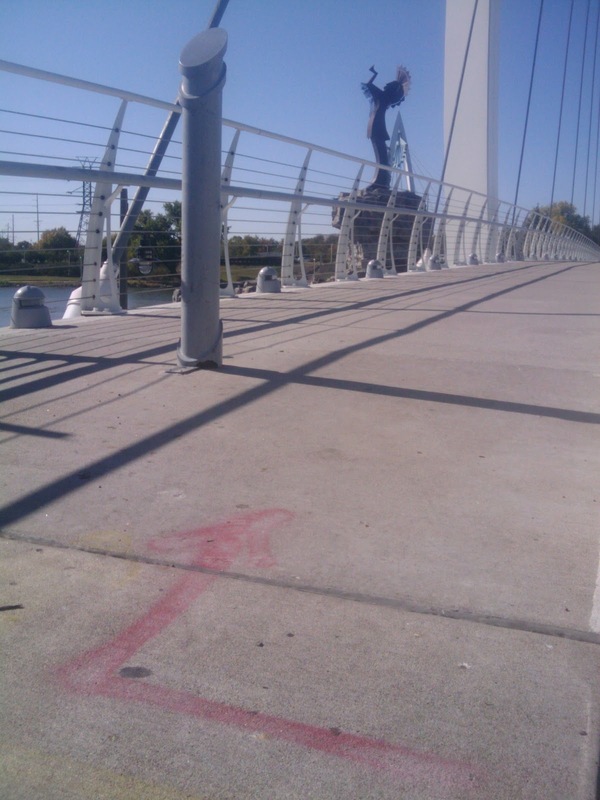 The loud speakers were placed all along the Arkansas River. 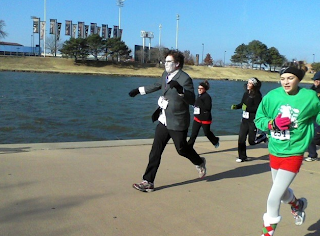 It was great to have music cranked as we embarked on our 26.2 mile trek. I quickly said hello to many people as the herd started to find it’s pace. It’s wonderful knowing so many people in this running community! At the start with one of many great training partners, Brad. The race headed directly into downtown. There wasn’t a ton of spectators, but there were enough to make some noise. By mile three we were headed into the College Hill Neighborhood and the crowds got very thick. Mile three is one block from our house and I was so surprised to see several of our neighbors out on Douglas cheering. I doubt they were out there for me, but it’s nice to hear your name as you pass. The course ran around College Hill park just before mile 4. Again, I was lucky enough to cross several friend’s paths. 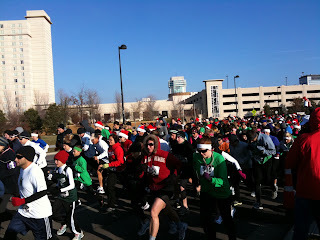 Many people were out to support the runners, that was a wonderful feeling! Just before mile 5 the race entered the Crown Heights Neighborhood. I came across an “unofficial” aid station here. 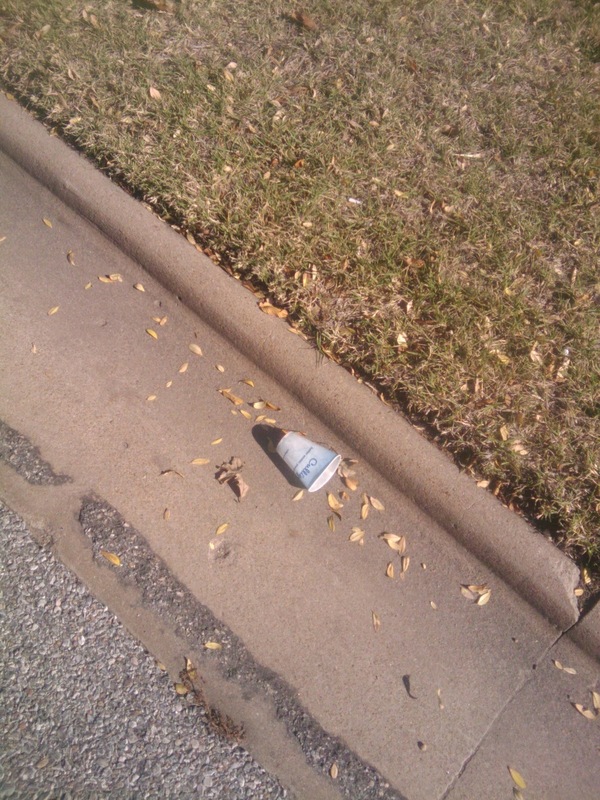 Small kids were out with their parents filling Dixie cups with Powerade. That was wonderful. 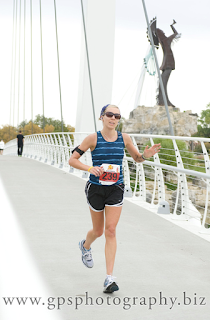 That sort of attitude has never existed in Wichita’s Marathon past. It was another early sign of a great race future. It was also near here that the half marathon course split from the full marathon. I was able to met up with some runners I had gotten acquainted with through the Daily Mile. We shared our hopeful finish times and entered into Eastborough. This part of the course switches back through a neighborhood park. We had our first distant glances at the front runners. Many of them were our friends and/or acquaintances. It was great to shout out to them before we made the turn ourselves. I also saw my friend, April Gochenour. She and I expected to be close in the race, however she had a strong lead on me from the beginning. She looked strong and was very far ahead of me. We made the turn as another live band played in the park. This was the third live performance of the course. We left Eastborough and quickly entered the Rockwood neighborhood. 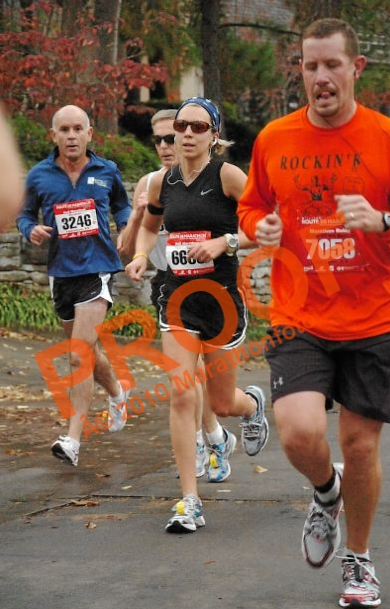 I was still running with the same group of runners at this point. It was nice to have a few faces to chat with as the paces clipped off. The course took it’s first of two trips through Rockwood. The neighborhood is completely covered by trees. This was especially helpful as it was still very sunny and the temps were starting to climb. This was also the first time we encountered early starters. There was a full marathon start at 7 AM as well. My path was coming up behind some of them and I was also being crossed by others. This particular street, Armour, was also the return path into Rockwood, just before mile 11. It would have been useful for early starters to have a different bib color. I’m not sure of all the names of the neighborhoods between mile 8-10. These miles were the most twisting miles. 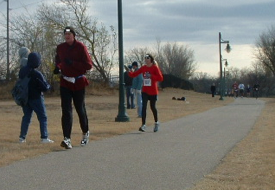 This part of the course included sidewalks and footbridges. One sidewalk was a neighborhood bike and walking path that served as a connector between two neighborhoods. This was a nice scenic route, but it was definitely not great for momentum and pace. 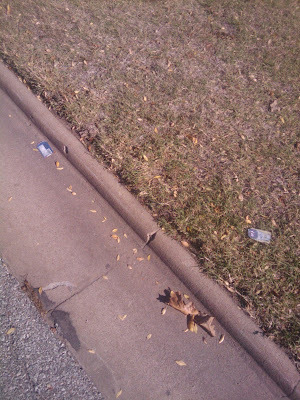 I was fortunate enough to see a running partner and her new born baby just before the sidewalk started. I hadn’t seen the baby yet and his little wave was just what I needed to get my mind off the side stitch I was developing. Another personal bonus was coming up at mile 9.5. My massage therapist, Nancy Bowers, lives right on the course. 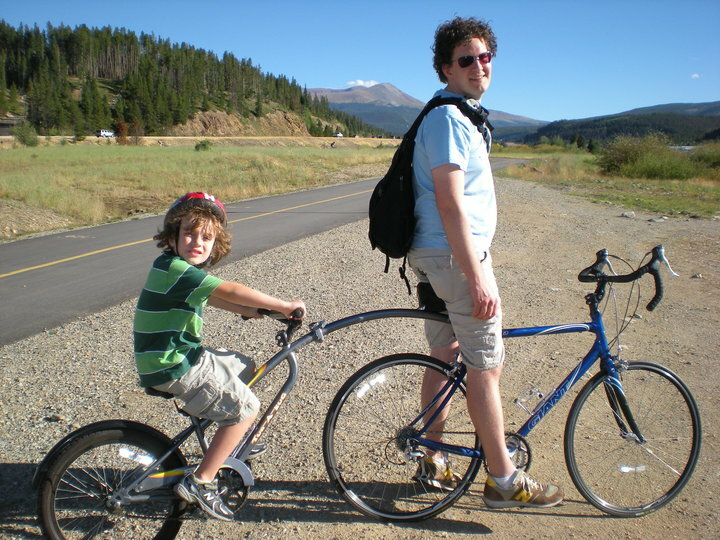 She had offered her house to Kenton and Judah as a pit stop, as they were keeping up with me on the course by bike. 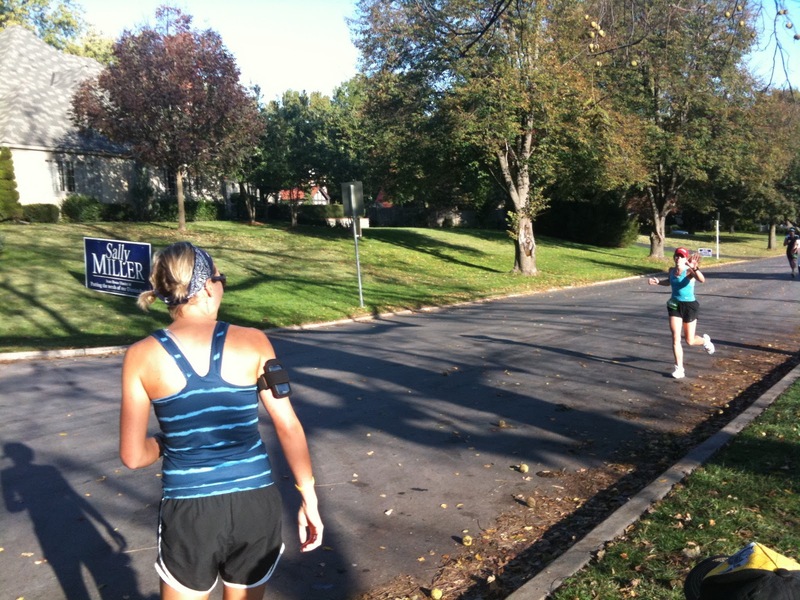 Not only were they all there cheering at the house, she had food, water, and honey sticks for the runners. 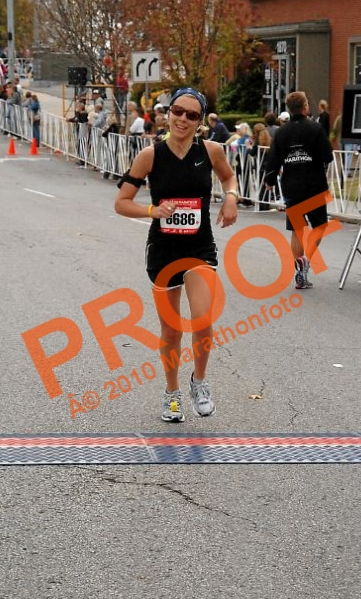 She’s a marathoner. She gets it. 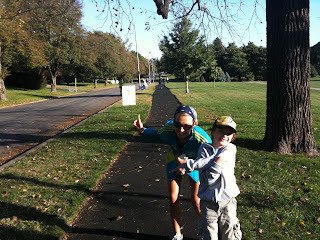 My son had a blast hanging out at her house and passing out treats to the runners. I felt so surrounded by a community on Sunday, that’s for sure. The race entered back into Rockwood, just like I saw previously with the early starters. 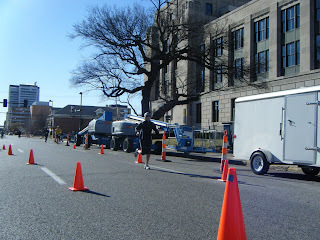 At this point the course was two lanes thick of runners. It was awesome to see such a strong group coming. This really opened my eyes to how large the field had grown to. Before the route turned back west, my new friend Greg bid me goodbye as he was going to pull back. I wished him well and pressed on. I was still feeling good. I was happy to engage the crowd, when there was one. I kept telling them thank you for coming out, or simply wishing them a good morning. This seemed to waken a quiet crowd. It was great to have people out, but the runners needed some noise! The route quickly ended up back in the Crown Heights Neighborhood. Mile 12 was in Crown Heights north. They were ready for runners. They had signs welcoming us and several people were lining the streets. There was music playing and even a block party celebration going on. This was my favorite part of the entire day. That was the best spirit all morning. I was just so proud of that neighborhood. Instead of griping about the street closings, they supported the entire event. Just before the half we headed pass Watermark Books. Several of their employees are runners and were running that day. They had live music in the parking lot and a nice crowd enjoying 26.2 cent cups of coffee from the cafe. 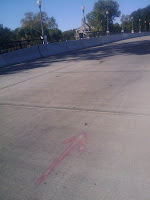 The arrows pointed me back into College Hill. Mile 13.1 was on my street. There was a bright sign on a brick street that it was halfway over. The bricks don’t bother me. I learned to run on that very street, I’m used to it. However I know others didn’t like the footing. The surface wasn’t an issue, but I was having issues by that point. I noticed I was fading. My energy had dropped. I wasn’t having fun anymore. I got worried, there was a lot of pavement to cover still. As we were sent back west down Douglas, the very route we had started on, I met up with another runner, DJ. He and I had briefly met a few time in the last 6 months. Now we were both in stride with each other, noticing the gentle downhill back into downtown. DJ and I had covered several miles throughout the morning near each other and now we were sticking close once more. We lost each other just as the route turned onto the brick streets of Old Town. As I passed First Gear, one of the local running stores, I saw Raquel Stucky up on the steps stretching. 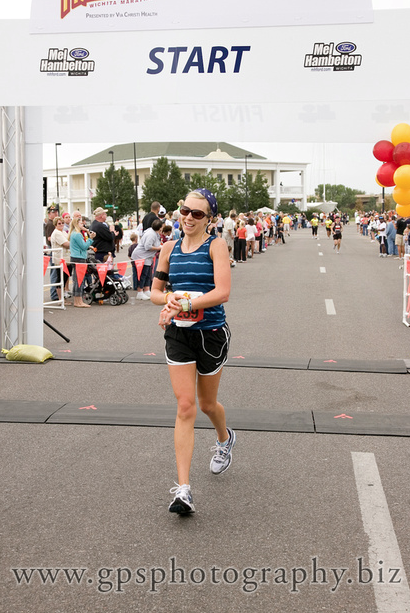 I hadn’t learned that she just won the woman’s half marathon portion of the race. She hollered at me and I waved. It was nice to have any distraction at this point. The route had begun sharing the course with the half marathoners once more back near mile 12. By my mile 15 through Old Town Square, most of the half marathoners I saw were walking the course. I passed through Old Town and headed up towards St. Francis Hospital. I had been able to see April anytime the stretch ahead of me was straight. I hadn’t seen her in a while due to all the turns. Because of the early start bibs being the same colors as the regular start a volunteer told me I was the 7th female. I was a little surprised at this news, but assumed he was wrong. I just hadn’t seen that many females ahead of me. I caught up to another friend. Jon has been running with my Saturday morning group most of the summer. Jon’s a super hero. I joke and say he’s nine-tenths leg. On his first marathon attempt in Wichita last October, he won. With some crazy fast time like 2:40 or something. When I saw him he was walking. Obviously he was not having a good day. We all thought his super powers would make up for the holes in his training. Apparently even Superman can’t skip too many long runs. We ran together all the way past mile 19. It was quiet and hard. The half marathoners had turned off for their final miles into the finish and we were all alone. 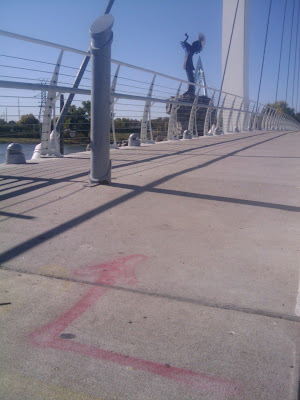 As we entered into beautiful Riverside, I didn’t think I could keep up with wounded Superman. We ran through Oak Park and watched the disc golfers play their rounds. We crossed over the river and saw the awesome Riverside Castle. We turned through another shaded, quaint neighborhood. There was lots to see as we barely talked. However, there weren’t many people there to see us. A few faithfuls were out ready to catch their runner. There was one cowbell just before an aid station, but other than the deep breathing of Jon and me, it was disappointingly quiet. To my surprise Jon pushed me on after the aid station. He said he couldn’t stay with me. I couldn’t believe it. I felt horrible for him. I assumed his altered state was still going to smoke mine. I carried on along the residential street. 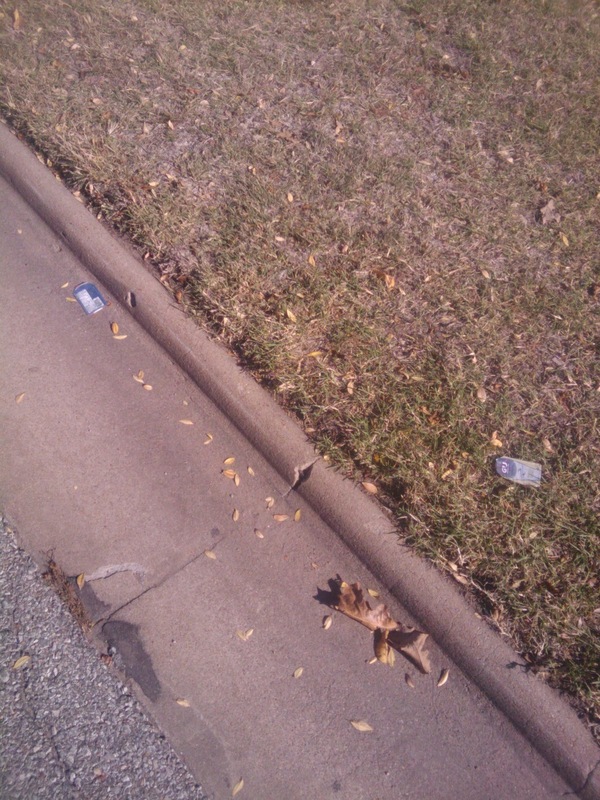 One side was houses, the other was Sims Golf Course. The route followed the golf course for quite a while. When the race got the toughest, the route got the loneliest. While it was still mostly shaded, the weather had made a complete shift. The clouds had completely covered the sky and a cool breeze had lowered the temperatures. I really hadn’t noticed. I was just doing the deduction of distance with each passing step. As the path began it’s course out of the golf course, a literal loop was required to fullfil the distance. I came across a friend who was riding his bike. He told me there was water up ahead and gave me hope that maybe this race was coming to an end. As I began my switchback, I saw Aprils’ face for the first time the whole morning. She was headed out as I was headed in. This is where the whole race changed for me. I gave an interview this week and I think the writer captured the rest of the race very well. 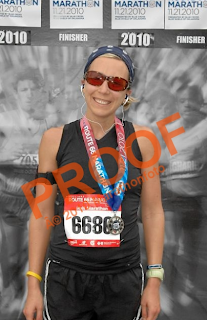 All of this happened as we were routed out of the golf course, through the literal Ghost town of The Old Cowtown Museum, pass the Art Museum, through Riverside Park, back through downtown and on the shared half marathon route. Across the Keeper of the Plains Bridge, and finally back down the Arkansas River, across the Lewis Street Bridge, and across the finish line in front of the Hyatt. 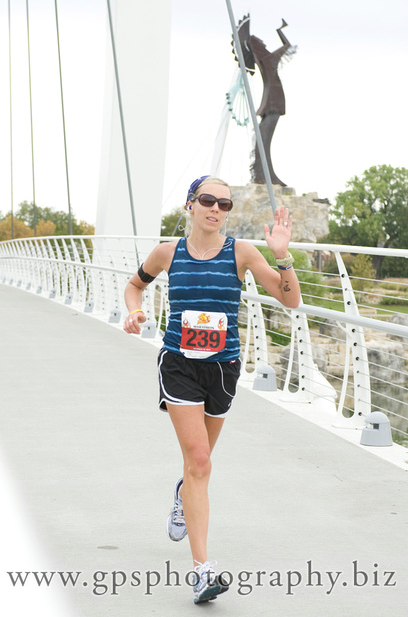 “April Gochenour, 31, of Rose Hill was in second place and running strong with Lacy Hansen, 29, of Wichita in third for the majority of the race. Hansen knew that Gochenour was a strong runner and also a friend and didn’t expect to see Gochenour until the finish. By mile 23, Hansen had Gochenour in her sights and caught up to Gochenour. Gochenour explained to Hansen that she had hit the wall at mile 16 and was just wanting to finish. 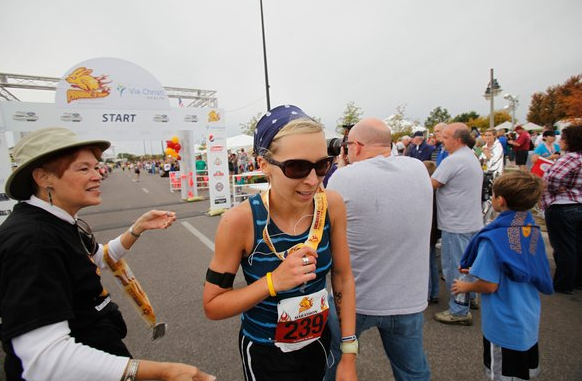 Hansen encouraged Gochenour by telling her “hang tough, you’re almost done,” and just hoped her own legs would carry her to the finish line as well. I had just heard my name over the loud speakers, passed my parents and several friends. My son was bouncing up and down with his hand out for a high five, a reason to smile. Best part of running: Stopping! Videos and pictures can not capture what it’s really like to finish a marathon. As far as finishing the Prairie Fire Marathon, I had the best view. I didn’t know how I was going to get to the end. 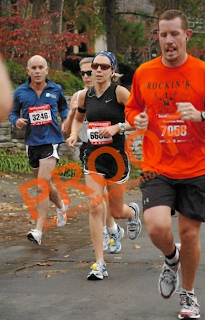 I was barely moving at mile 25. I had walked through the final aid station and I didn’t have anything but a remembrance of a desire to finish. Apparently that was enough. I didn’t finish strong, I just held on. I didn’t meet my hopes for that day, I just got lucky everyone else wasn’t having a better day. I watched a lot of people come to grips with their humanity this past Sunday. The strong became weak. The fit became fragile. The prepared became survivors. 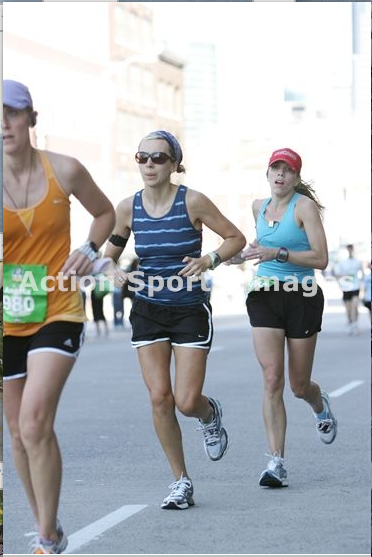 The marathon is always a humbling experience and 10-10-10 was no exception. As I rounded the final turn of this wonderful new marathon. I was once more humbled. I was blessed enough to have had friends all along the way. And in the final strides I was being welcomed in from battle. I looked all around and had a family of believers bringing me in. I believe heaven will be like this one day. A line of those who won’t give up the faith, welcoming me home. My God uses the marathon to teach me so many things. Sunday I learned that no “marathon” is run with out the love of friends. Most of my Saturday morning crew. They make me the runner I am. My Dad after his Half Marathon PR. He started this all. I wouldn’t have gone 1 mile without him. Dane Rauschenberg handing out age group medal. 1st in Age Group. Receiving Female Runner up award. You can see where I really fell apart towards the end.